I admit I am jumping on this one a little late, but I just heard about it. After a 10-year wait, David Bowie has finally released a brand new album. I enjoyed "Heathen" a ton, and even though this style of music isn't at the top of my list, I listen to it fairly often. What impressed me with "Heathen" was how dynamic Bowie sounded. Having to wait ten years between albums from your favorite artists can feel like torture, but the excitement when the new album does come is genuine. Whereas "Heathen" offered a more alternative mainstream style of pop sound, "The Next Day" should turn out to be an instant classic in the genre of rock. As is usual with Bowie, the music is filled with unusual twists and sounds that are both surprising and pleasing. The new album is a real rocker, leaving nothing to be desired. What makes Bowie so famous, of course, is his style of singing. Needless to say, I took time out to listen to the new Bowie album and it definitely lived up to its billing. If you are a big Bowie fan, you probably already own this. If not, you are perhaps wondering what all the fuss is about. I mean, can't dinosaur rock finally go the way of the dinosaur? In a genre filled to the brim with classless rip-offs, and rock musicians simply interested in selling, Bowie is a breath of fresh air. He has truly stood out as one of the best. One thing that comes to mind while listening to this album is that it does not include any remixes or covers. Each of the albums' 13 tracks are original David Bowie material. 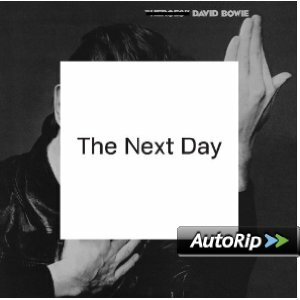 "The Next Day" has a big, full sound with impressive range. The instrumentation is nearly perfect this go-around and contains a steady diet of differing styles, from eerie, grandiose reverb to subtle plucked harmonies to full-on dark ambiance all while keeping its cool rocking. This is a good album and will be a great addition to nearly any music collection. Enjoy the full album stream, via YouTube below. Enjoy!